Planning to move abroad for your higher studies? No wonder your mind will be surrounded by the flags of numerous countries trying to dominate your preferences. Being one of the most preferred international study destinations, Australia is a home of international students. With immigrants hailing from different horizons of the world, Australia is a land of diverse cultures, which makes it a global village. Thus, studying in Australia gives an individual a great exposure of worldwide cultures and traditions. Moreover, the peaceful surroundings of Australia make it easy for students to adapt to the new country. What sets Australia apart from other countries is the privilege of English being the primary language of Australia. Eventually, it is easy for students to adjust and interact with one another, without any kind of language barrier. It is also an added benefit in terms of study, as it is easy for the students to understand and be understood. Besides acquiring the best quality education, international studies also enjoy the privilege of various scholarships. There are numerous internal and external scholarships offered to international students by the government as well as universities, thus providing a helping hand to the students to acquire the best education. Being a scarcely populated country, Australia is a land of opportunities. After completing the course, students are granted 2 years work permit, which allows them to explore their field and build a strong foundation for their professional front. Even while studying, international students are legally allowed to work for 20 hours per week. Along with providing best quality education, studying in Australia also offers an individual great opportunity for earning. Offering a legal wage rate of $AUD18, Australia stands ahead of many other countries, thus offering the individuals the advantage of earning while learning. Australian qualifications are recognised worldwide. The perfect blend of theoretical and practical curriculum makes Australian graduates better qualified professionals and help them to have an edge over other candidates while seeking jobs in any part of the world. While offering supreme living standards, the cost of living in Australia is lower as compared to other countries such as USA and UK, which offer almost the same standards of living. Thus students can enjoy superior lifestyle as well as education simultaneously. Australian Universities majorly invest in research and technology in various fields, Health and Medicine being the chief ones. 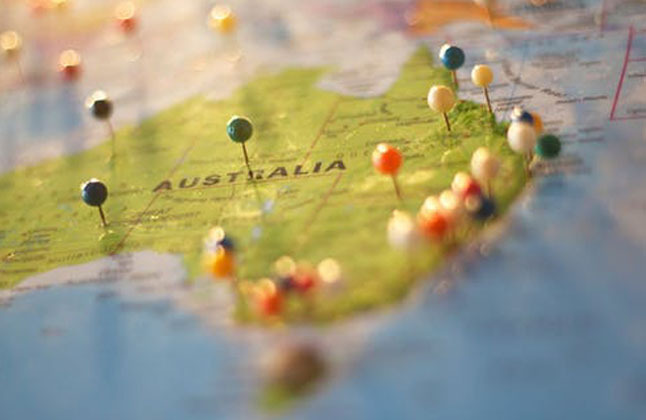 The Australian Government's Excellence in Research for Australia (ERA) has identified 43 areas of national strength and are focusing their research on them. "AMAZING!!!!! I would say EDWISE=A-Z information of studying abroad. I am happy that I came across such an Overseas Education Consulting firm. The way I was guided, counselled and trained, I don't think any other firm would have touched Edwise's level. Thanks Edwise." "The staff of Ediwse was extremely supportive in selection of universities for me and a better career guidance was given to me. Thank you Edwise."